Stolichnaya Vodka has unveiled the first ever packaging redesign for its entire range since the brand was launched almost 80 years ago. The new range has been designed to create a more “contemporary” look for the brand in a bid to capture Millennial consumers. Unveiled at the TFWA World Exhibition & Conference in Cannes this week, the new design has been applied to the flagship Stolichnaya Vodka bottle as well as its portfolio of flavoured brand extensions, Stolichnaya 100 Proof and Stolichnaya Gold. Described as an “evolution” of the brand’s previous design, the range features a “sleeker” bottle profile embossed with the Stoli logo on its neck, designed improve “balance and control” for bartenders. The label has been given a more premium look and communicates Stolichnaya Vodka’s qualification as a “Certified Alpha Grade” spirit. Bottles featuring anti-counterfeit and anti-refill technology will also launch in select markets. 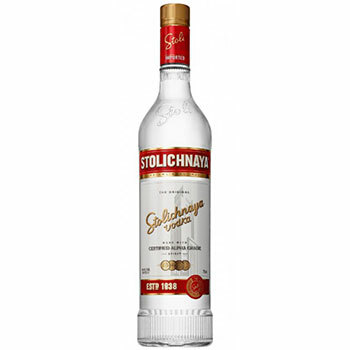 “The Stolichnaya bottle has been iconic for several generations, and now it’s the time for Stoli – as it is affectionately known – to make a new bold statement in claiming its position as THE Vodka.” said Rob Cullins, CEO of Stoli Group. “Stoli has a long and proud history of vodka distilling,” said Lars Vestbirk, marketing director for Stolichnaya. “It has always been about the liquid: maintaining the original bold character and perfecting the unsurpassed Alpha quality. The new bottle will be on shelves and available during end of 2015 and early 2016. In September last year, Stolichnaya made a departure from its Stoli The Original marketing campaign and launched the new multi-million dollar advertising strategy, THE Vodka. I can’t wait to see the new bottles! Many thanks to StolI/SPI for your support of our LGBT community here in San Diego and around the world! Can’t wait to celebrate with a Stoli in hand and the company of friends! Cheers!